Strategic Partnership between RBL Bank and Manipal Global Education to set up RBL Manipal Learning Academy (RMLA) for Training. RBL Manipal Learning Academy (RMLA) impart training to designated employees of RBL Bank. 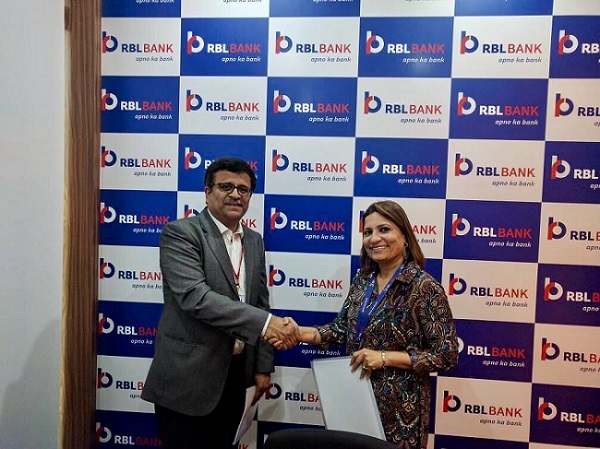 RBL Bank has signed a Memorandum of Understanding (MoU) with Manipal Global Education Services (MaGE) to set up the RBL Manipal Learning Academy (RMLA) in order to strengthen its Training function. As part of the partnership, MaGE will identify role-based training requirements, deliver face to face training at its campuses in Bangalore and Jaipur, build and provide a comprehensive digital learning platform for RBL Bank, create purpose-built digital content and program manage the operations of RMLA. In essence, this partnership aims at delivering all functions of an in-house Training Management team by bringing in cost effectiveness, performance improvement, and employee engagement to complement achievement of Bank’s Vision and Mission. Certification programs in various fields like Management, IT and Finance. Corporate training programs in partnership with major banks and IT companies in domains such as banking, data science, management, and technology. Manipal Global owns and operates universities and medical colleges in Antigua in the Caribbean, Dubai, Malaysia, and Nepal, as well as GlobalNxt University, which offers internationally recognized business and IT degrees online as well as customized training for corporates. All these Universities have extensive academic tie-ups with top universities across the world.